When you’re looking for comfort no matter where you are, Therm-A-Rest mattresses are the ultimate crash mats to help you get that rest that you need. Coupled with one of their sleeping bags, they become the ultimate sleep system making sure that those who require a good night’s kip, get that in spades. The Cascade factory, in Midleton, county Cork, have given us one such system to give away. Comprising of a Questar HD 3 season 650 fill down sleeping bag plus a NeoAir Xlite Max SV sleep mat, this prize package is worth over €450.00 and will help you sleep like a baby pretty much all year around in Ireland. For your chance to win, enter your details in our competition below and answer a very simple question. The following are the terms and conditions of the Great Outdoors Therm-A-Rest Sleep Set Giveaway. Your participation in the competition shall be deemed to be your complete acceptance of the terms and conditions herein. •A condition of entry is that you agree to opt in to receive emails from ourselves which is Great Outdoors & The North Face Store Temple Bar and also from Casecade Designs(Therm-A-Rest). To unsubscribe in the future, simply use the unsubscribe link in any of the emails you receive or reply to one and ask. 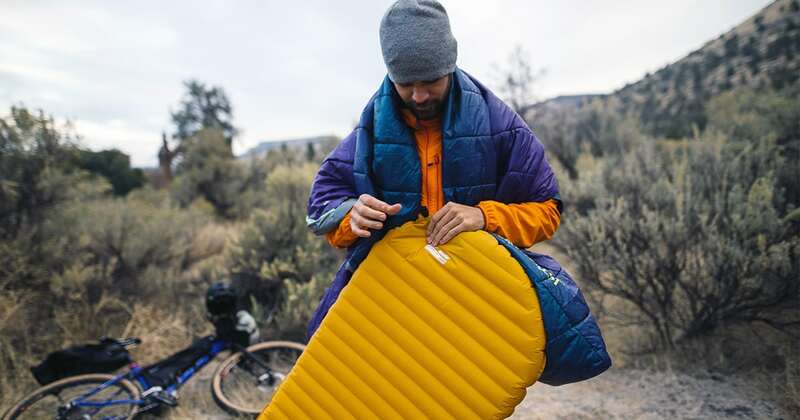 •The prize, a Therm-A-Rest Questar HD sleeping bag and NeoAir Xlite Max SV, is neither transferable nor exchangeable and cannot be exchanged for money.